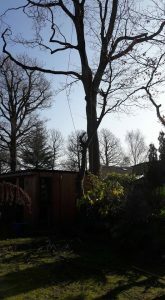 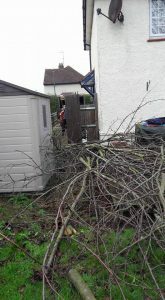 Horse chestnut dismantle and stump removal in Amersham. 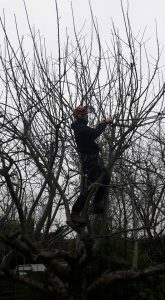 Prunus avium dismantle and grind out stump tracing lateral roots. 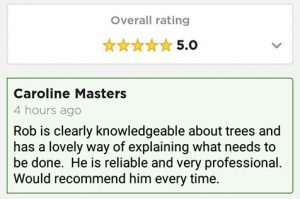 Kind words from one of our clients. 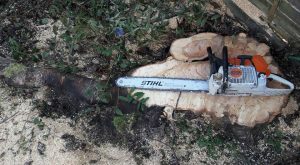 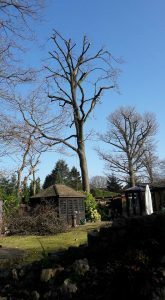 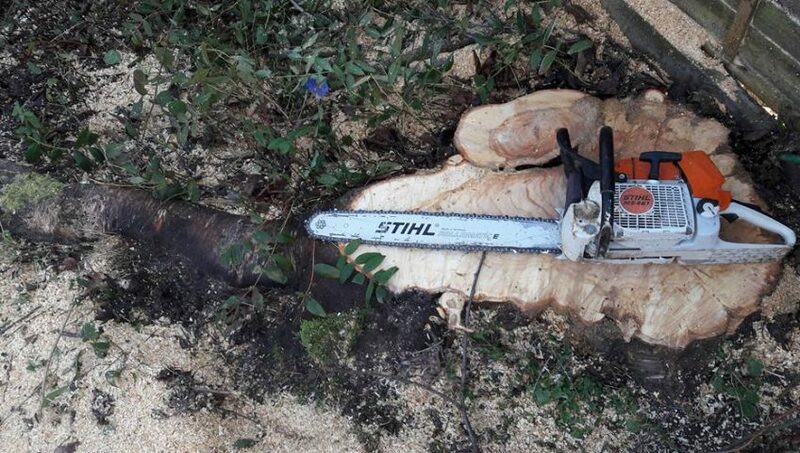 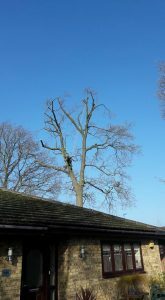 Mature Oak reduction today, another firm started this tree (notice the cuts at the top proir to work) unfortunately for them they walked away without completing the work. 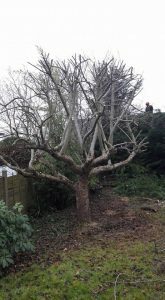 Carefully pruning and lowing was an absolute must on this tree! 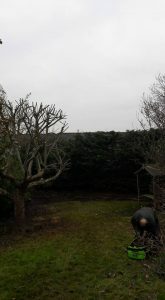 Just look at all the targets we had to work around. 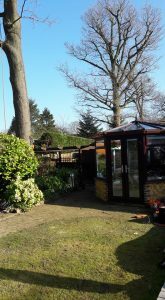 Glass conservatory, house, garden sheds with tile roof, a modern outhouse building, fences and all the shrubs. 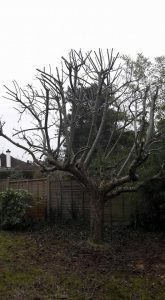 Another successful prune with no damage. 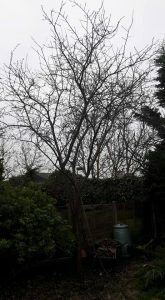 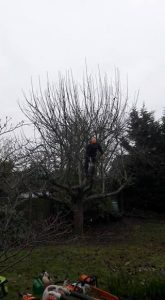 More fruit tree pruning, perfect time of year before bud burst. 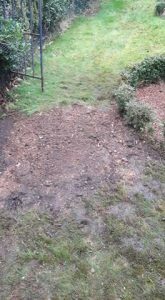 Is the customer always right?? 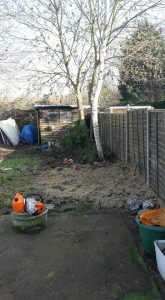 As much as we recommend not to approach the job the way we was instructed, unfortunately our client insisted. 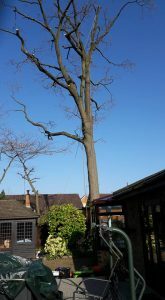 We would have preferred for a nice all round 3m reduction to help stabilise the tree. 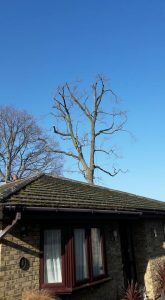 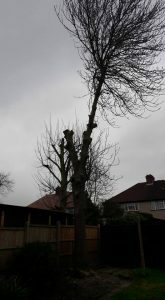 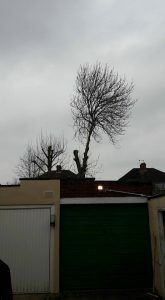 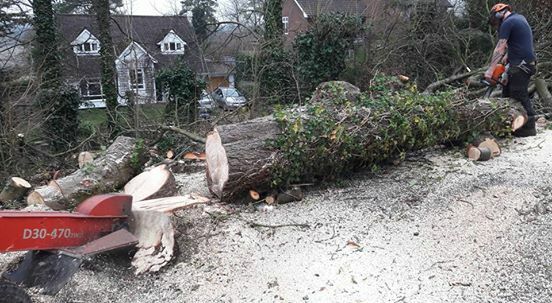 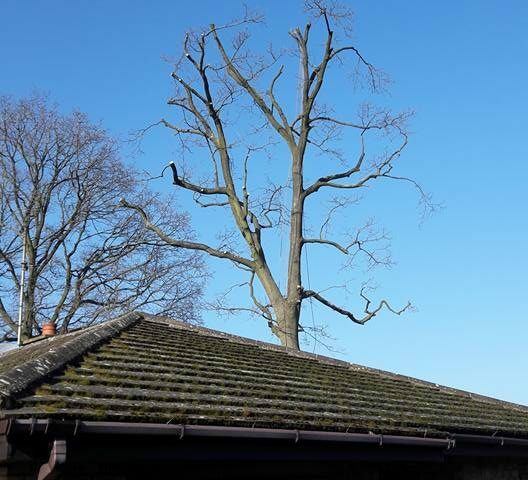 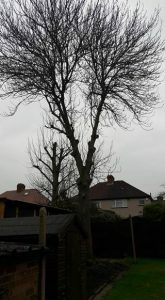 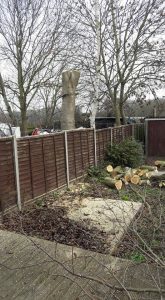 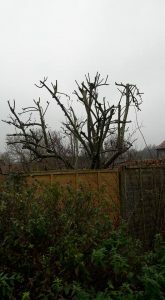 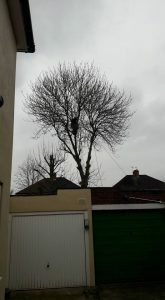 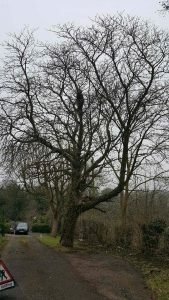 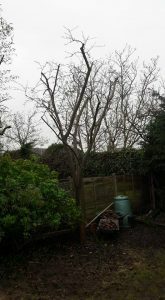 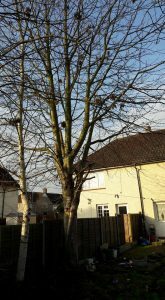 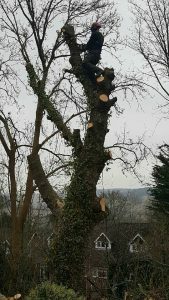 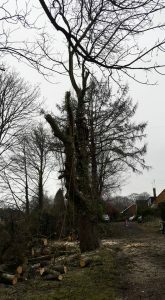 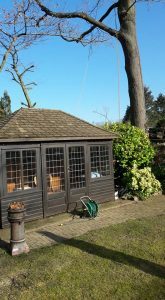 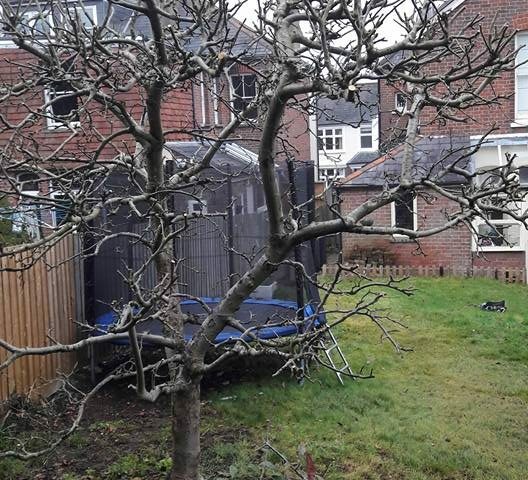 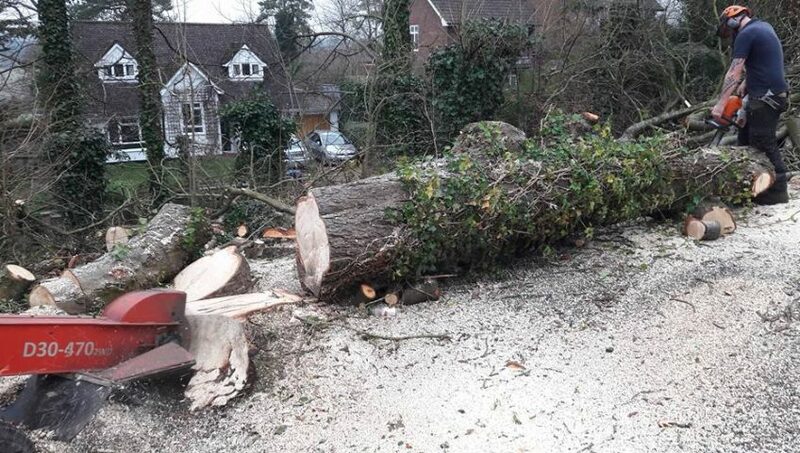 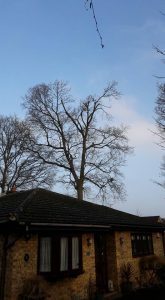 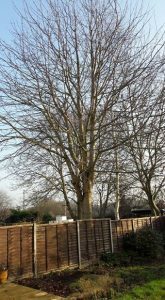 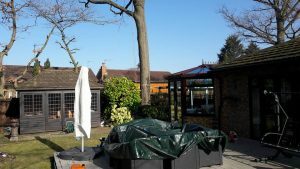 In this case the client was so worried that half the tree may fail and in spite of our best efforts made the decision to remove the left hand side of this tree. 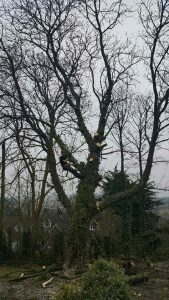 We have agreed that in the future we will be back to reduce the remainder of the canopy. 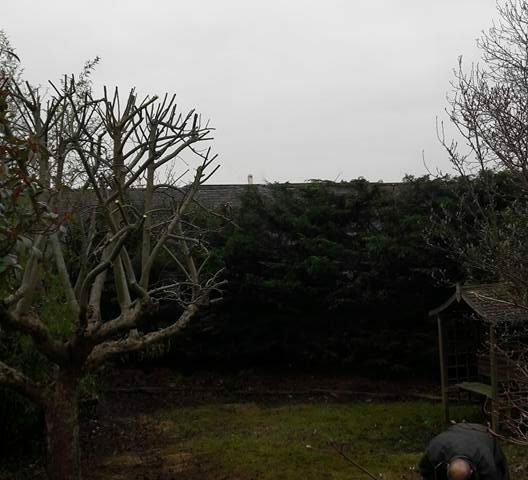 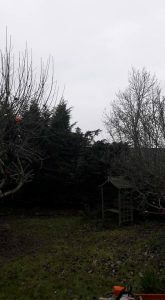 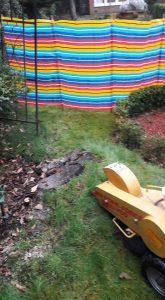 Fruit tree pruning and Cypress hedge reduction. 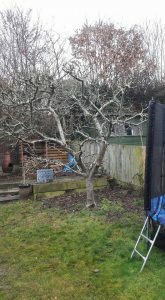 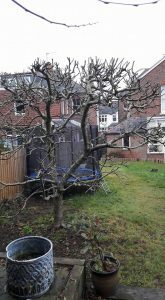 This is a perfect time of year to prune your fruit trees, just as the tree emerges from dormancy.